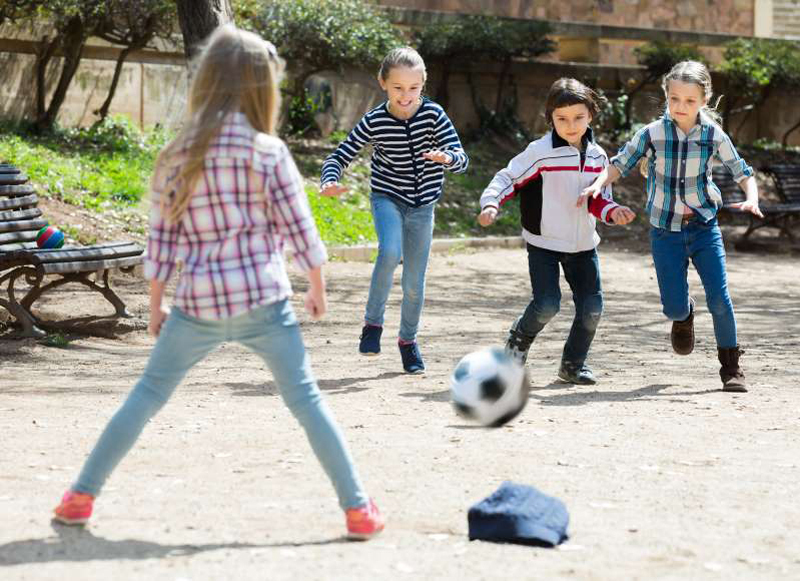 © JackF/Getty Images/iStockphoto Kids can learn about democracy by playing disorganized sports such as street soccer, in which the players make and enforce the rules. With the Super Bowl over and basketball and hockey playoffs months away, I have been thinking about a more serious subject: democracy. Democracy is a system of government in which people are free to elect their leaders, such as presidents, governors and members of Congress. The leaders are supposed to work together to find solutions to the problems facing the people. Lately, people are wondering whether our democracy works very well. Parts of the federal government shut down for 35 days, and our leaders don’t seem to be solving such problems as climate change, immigration or how to care for people who need help. Some experts think we are no longer very good at democracy because we don’t practice it. In the past, more people joined clubs or belonged to organizations in which they learned how to solve problems within the group. Now, people spend more time on the Internet. The Internet can be used to bring people together — think of online fundraising campaigns to help disaster victims — but it’s often used to divide people. Social media is full of opinions shared in ALL CAPS with lots of exclamation points. You are probably wondering what this has to do with kids and sports. At their best, sports are a place where kids can learn to be part of a team and work within a group. In other words, sports can be a place where kids can learn about democracy. Most kids, however, play organized sports. Those are games such as Little League baseball or AAU basketball, where adults make and enforce the rules. These sports are good, but they mostly teach kids to obey the referees or coaches, not solve their own problems. I think kids would learn more about democracy if they played disorganized sports. Disorganized sports are games such as pickup basketball or soccer matches where sweatshirts on the ground are goals. Games where kids — not parents or coaches — pick the teams, make the rules and call their own fouls. When kids play disorganized sports, they learn how to work out problems with their teammates as well as their opponents. They learn how to make the rules of the game fair for everyone and not just a few. Kids don’t seem to play these disorganized sports as much anymore. They are too busy with organized sports, homework or being on the Internet. But coaches in organized sports could — let’s say every third practice — allow the kids to run the show. Let the kids pick the teams, make the rules and work out any problems among themselves. Some parents and coaches may protest that kids will not improve their sports skills if the adults don’t run all the practices. But the kids may learn about something even more important … democracy. And just like sports, democracy is something you have to practice.